Was Einstein's theory of relativity missing something about gravitational waves in black holes? An 11-year study suggest it may have been. An 11-year study carried out by researchers working with the Commonwealth Scientific and Industrial Research Organization (CSIRO) and the Parkes telescope in Australia has left scientists empty-handed as they searched for gravitational waves in the background of black holes. 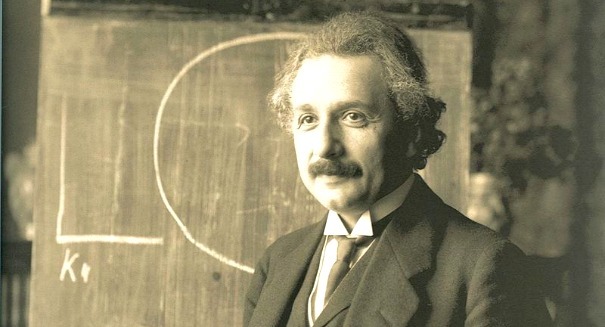 According to a report from Astronomy.com, it has been almost a hundred years since Albert Einstein proposed his theory of general relativity with gravitational waves remaining a key component, but they are still nowhere to be found. Gravitational waves were believed to provide a close look back in time at the way the universe began expanding when it first came into existence. The puzzle has nagged at astronomers for nearly a century, but so far no solid evidence of gravitational waves coming from a black hole has surfaced. So where could they all have gone? Scientists peered through the Parkes telescope expecting to detect the aftershock from the explosion that kicked off the universe’s 13.2 billion year existence up to this point, but failed to see any. The research has taken our understanding of the universe around a dark corner. The study’s findings were particularly puzzling because nearly all of the theoretical explanations of the dynamics of the universe account for these gravitational waves. Galaxies grow by smashing into each other, with larger ones absorbing the matter from the smaller ones. There is typically a massive black hole at the center of the largest galaxy, and form orbiting pairs when galaxies of similar sizes collide and merge. Einstein’s theories explain these phenomena, but the gravitational waves he predicted to emanate from the center of the black holes were nowhere to be found. This is one of the first experiments that have run into a roadblock in one of Einstein’s theories. It may go on to reveal that other provisions in his theories wouldn’t hold up to similar scrutiny, but as of now the absence of gravitational waves in black holes remains the most pressing mystery. The team in Australia used the Parkes telescope to watch a group of “millisecond pulsars,” tiny stars that produce consistent trains of radio waves that serve as the clocks of the universe. The researchers recorded the times at which the pulsar’s signals arrived at the telescope, within a ten-billlionth of a second. Gravitational waves passing between the Earth and a millisecond pulsar would cause space and time to expand and contract, changing the distance between waves by about 33 feet, or just 10 meters. This slightly alters the time at which astronomers can expect the pulsar’s signals to arrive on instruments here on Earth. After 11 years of patiently waiting for a gravitational wave to be picked up from the telescope, the researchers still have little to go on. There are still a few reasons behind the missing gravitational waves, and researchers still think they have a shot at figuring it out. One of the primary reasons is that black holes merge together extremely quickly, spiraling around each other and generating massive gravitational waves. According to researcher Paul Lasky from Monash University, the gas surrounding the black holes could create friction, dispersing the energy from the gravitational waves out into space. Researchers aren’t giving up hope just yet, however. The team working with the Perkes telescope plans to continue to study the pulsar for years to come, recording every bit of information the telescope could possibly pick up in order to determine where the gravitational waves are actually going. Einstein found that gravitational waves are responsible for influencing the distance between particles traveling through space. Occasionally, a gravitational wave will stretch the vertical distances between particles, squeezing the horizontal distance in the process. Similarly, sometimes the horizontal distances between particles are stretched and the vertical distances are compressed. While these distances are often exaggerated in models, they are barely detectable to the naked eye. Most gravitational waves come in sine waves, which are influenced by a “stretch factor” – the factor by which the distance is stretched or compressed. Gravitational oscillations are common throughout the universe, but very rarely do they follow a perfect sine function – this is generally due to interference from other forces, like friction. Space and time are not as rigid as other structures in our lives, and it can be difficult to conceive of them as elastic. However, small distortions caused by massive objects’ gravity does cause ripples in the fabric of the universe, and scientists believe they should have been able to detect them by now. According to Lindley Lentati, a researcher from the University of Cambridge in the U.K. who specializes in pulsar-timing measurements, approaching the waves from a higher frequency might prove more successful in the future. Astronomers will also gain another leg up when the super-sensitive Square Kilometer Array telescope is brought into operation, with construction beginning sometime around 2018. It strikes researchers as extremely bizarre that they could not detect any evidence of gravitational waves emanating from these two black holes dancing around each other. The findings, or lack thereof, have no implications for the gravitational wave detectors based on the Earth’s surface, like the Advanced Laser Interferometer Gravitational-Wave Observatory, which launched a new round of observations just last week. A member of the research team from Swinburne University, Vikram Ravi, who now works at Caltech in Pasadena, California, explains that ground-based detectors are not searching for gravitational waves from black holes, but from other sources like combining neutron stars.